I've lately started doing some space themed art and decided to start taking commissions to get more practise and different kinds of ideas of what to do. You can find more examples of my space art on my deviantArt account as well as on the section about finished requests. -The pictures will be hosted in photobucket by default and also uploaded to my deviantart account. 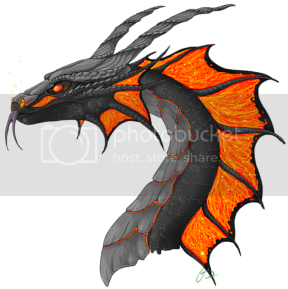 Photobucket sometimes resizes pictures on its own will, so if I make you a bigger piece and photobucket won't show it correctly the full size version will still be available on deviantart. You can mix and match, choose however many planets and moons you want in the piece and it will be priced accordingly. Before ordering check that there are available slots. Number of planets, number of moons, do you want a background on the piece, do you want rings around the planets or some of the planets as well as what kind of colouring and look you'd like to the planets, moons, rings and background. If you want a pice in some other size than the default, please state so. Here are some banners you can use if you want to link to this shop. Last edited by Rosehill on May 17th, 2011, 4:11:19 pm, edited 11 times in total. Reserved for possible later use. Feel free to post now. Wow, those are some pretty nice space art. Love the Blue Planet and Space Background. So, here's my order. And since there's no order form to use, I'll just say what I want in a paragraph. I would like to order space art to be used as my wallpaper. The size should be 1280 x 800. I would like my wallpaper to have a background (2000g) with a silver white ringed (1000g) fiery blue planet (5000g) and two moons (2500g x 2 = 5000g). I would like one of the moon to be a light shade of blue. As for positioning, I would like the planet position on the right bottom corner. Do you think you can make the planet a small size? I'd like to have the planet just take a quarter of my screen resolution when I use the space art for my wallpaper. So, all in all, this comes to a total of... 2000g + 1000g + 5000g + 5000g = 13000g I'll be paying with 3 Pygmy Phoenixes and 1000g. Payment sent in this trade. I would like a fiery planet (like the sun, although it is star - 5000g), two moons, (5000g), and a background (2000g). I trust your artistic vision, Rosehill...as an artist, you will likely understand that I am thinking of a theme when it comes to this piece...I want it to post in my About Me section, and it can be as large as you think is appropriate...and I want the two moons to symbolize two people in love, circling the sun, in a neverending dance...the color scheme is up to you, and I hope the theme gives you some idea or inspiration. I am leaving it in your hands! Cassie and nebula, added you to the list. I should have your requests finished in a few days. Heh, I'm back for more. I'll use the piece either as my wallpaper or as background for my profile. The size will be 1280 x 800. I'd like it to have a background (2000g). I would love it if the background only had stars in shades of blue and maybe a discernible flying dragon pattern when you look at the background. I'd like an electric blue fiery planet (5000g) with silver blue rings (1000g) at the bottom right corner. Do you think you could make the planet a tad smaller than what you did with my previous order? And, I would also like it to have two moons (2500g x 2 = 5000g) positioned in such a way that they form a diagonal left V with the planet. I'd like one of the moons to be a fiery blue color, and the other one to be an electric blue color. And would you also make them a tad smaller from what you did with my previous order? Oh and do you think you could leave some free space, about 50 pixels, at the bottom? I don't want my taskbar to cover part of the rings of the planet. The total comes to... 2000g + 5000g + 1000g + 5000g = 13000g. I'll be paying with two frozen unnamed Pygmy Phoenix eggs (2 x 500g = 1000g) and three unnamed Pygmy Phoenixes (3 x 4000g = 12000g). Payment sent in this trade. HoukaRyuu wrote: Heh, I'm back for more. I'll use the piece either as my wallpaper or as background for my profile. The size will be 1280 x 800. I'd like it to have a background (2000g). I would love it if the background only had stars in shades of blue and maybe a discernible flying dragon pattern when you look at the background. I'd like an electric blue fiery planet (5000g) with silver blue rings (1000g) at the bottom right corner. Do you think you could make the planet a tad smaller than what you did with my previous order? And, I would also like it to have two moons (2500g x 2 = 5000g) positioned in such a way that they form a diagonal left V with the planet. I'd like one of the moons to be a fiery blue color, and the other one to be an electric blue color. And would you also make them a tad smaller from what you did with my previous order? Oh and do you think you could leave some free space, about 50 pixels, at the bottom? I don't want my taskbar to cover part of the rings of the planet. Added you to the list. I should have your piece ready in a couple of days. I just want to make sure about the moon positions as I'm not quite sure what you mean with the diagonal left V.
Here are two samples how I picture it could be. Is one of them the way you want the moons to be or did you have some other positioning in mind? Rosehill wrote: Added you to the list. I should have your piece ready in a couple of days. Number 2 but with the planet on the right and moons on the left. And I'd like the rings positioned under the moons like how you did the rings in my previous order. EDIT: My poor attempt at a sample positioning of planet, rings, and moons. Really, Rosehill, I am in utter awe. Those are beautiful pictures and wonderful compositions. The second is a bit more specific. Again, my wallpaper-size would be perfect. I'd like a background, and four planets. One planet should be in the foreground, appearing cold and frozen (so again, cool tones). It can be seen only partly, as if "we" are watching it from a distance. Behind the planet are two smaller ones (they can look like moons as well, but they should be visibly apart from each other)... aaaand behind all of them, in the far back, should be a huge planet, or better a sun. :) It doesn't have to be at "full brightness"; The sun should appear worn out, slowly fading, thus the frozen planet in the foreground.